British disco imprint Outcross Records release the 'I Can Fly' EP this June by label owners Miguel Campbell and Matt Hughes. Miguel Campbell recently unleashed his talent upon the world with the heavy hitter 'Something Special' on Hot Natured. He now returns to the roots of his success with longtime alliance Matt Hughes, who together as MAM and individually, have been steadily releasing their infectious hooky disco grooves on Outcross Records since its inception in 2006. 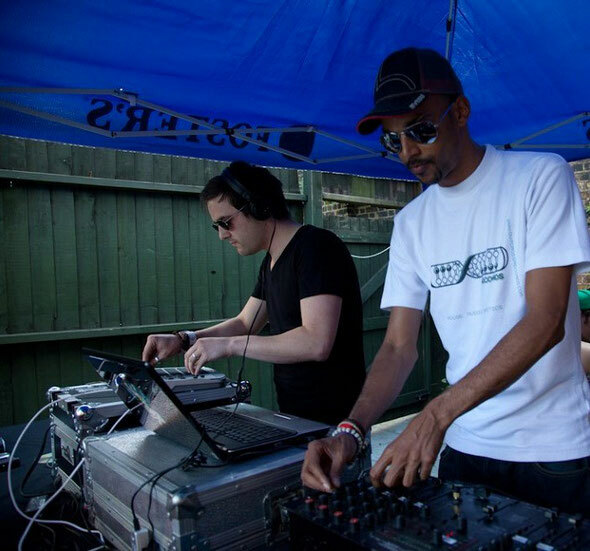 The duo, both based in Leeds, have been making waves in the city’s underground scene for several years now and their inspiration lies deeply rooted in American disco grooves and smooth Parisian house. All of their compositions are draped in soul and finely tuned to perfection, often with a live and organic feel. This latest release comprises three originals, all infused with an evocative nostalgia. Opening with ‘I Can Fly’, the pair work in high-pitched synthesizers around a classic 4/4 disco beat, a catchy filtered disco vocal hook and an acid style bass, creating a bumping ‘90s electro vibe with touches of hip-hop aesthetics. ‘Beats Can Fly’ simply strips back the vocals leaving you with penetrating raw melodies and a crisp drum beat for those wanting things a little grittier. Closing the release is ‘Talking Box’, a feel-good number, featuring an electrifying synth hook that ripples through your mind, hooking you from the off. A low-end sub warbles in the background creating a slo-mo rolling groove, whilst bright piano chords lead the way. Out 4th June.